I have been trying to knock off some UFOs and it's a slow process. I haven't started any new quilt projects in order to get my UFOs done. This is a scrap quilt that has been hanging in my closet. Its not a big quilt, just a lap size. I have had these scraps for many many years and I've outgrown these prints but in a scrap quilt they look pretty nice. 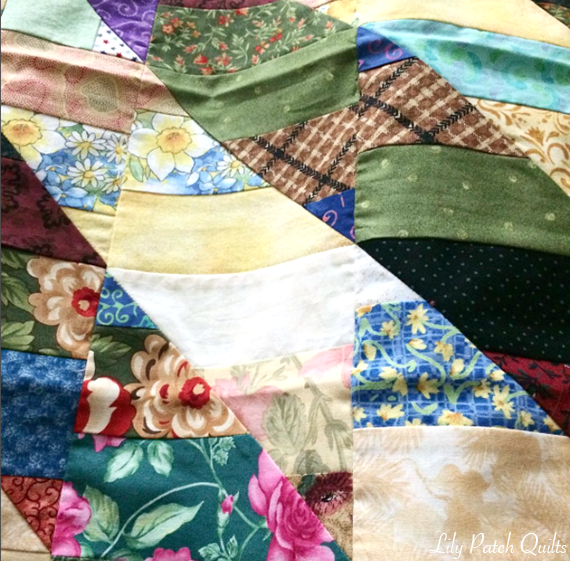 I love scrap quilts because there's a history to it, so many pieces put together from quilts I've made for my family and gift giving. Remember the infinity scarf I posted a few days ago? This is the scraps from the scarf. There's enough to make two pouches. I have some small leather pieces that I was wanting to try out on a small project and this was a nice one to give it a go. I had no problem sewing vinyl on my machine, but leather was another story. It too some finagling to make it work. 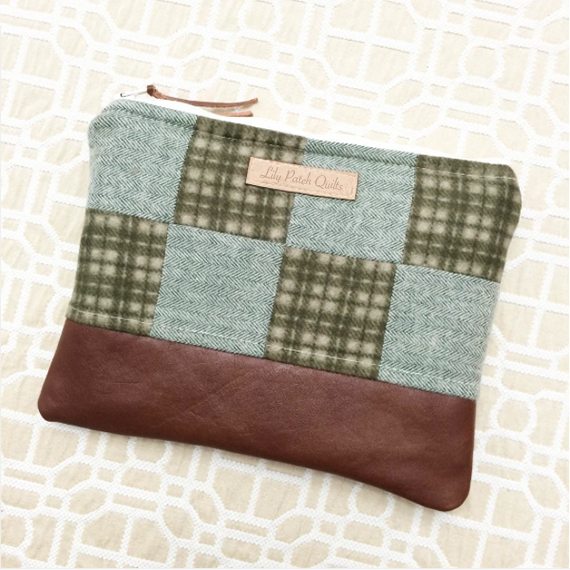 Now I wish I had a super heavy duty leather sewing machine because I just love how this pouch turned out. I ended up giving this one to my daughter to use to organize her knick knacks for school. She loves the plaid paired with the leather.